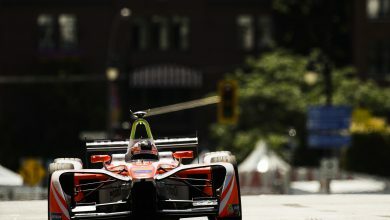 Zurich E-Prix – Mahindra Racing’s Felix Rosenqvist was quickest in second practice, ahead of Jaguar’s Mitch Evans by 0.054 seconds. 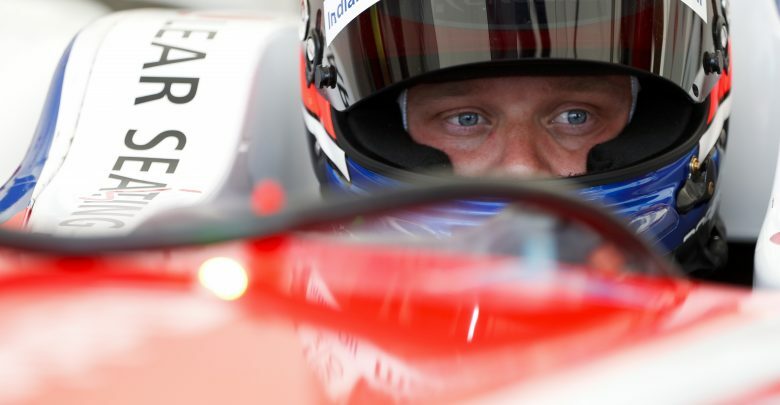 Rosenqvist, who picked up a 700 Euro fine for speeding in the pit lane in FP1, set a 1:12.207 in the latter stages of the session. It is some three tenths slower than Lucas di Grassi’s pacesetting time from the earlier session. Evans was the early pacesetter with a 1:12.261, a time which he did not improve on in his second run after running into the escape road at Turn 1. Jerome D’Ambrosio was third fastest, 0.388 seconds off Rosenqvist’s pace, ahead of his Dragon team-mate Jose Maria Lopez who have praised the recent improvements to the car’s qualifying pace. Lopez crashed at Turn 1, however, after losing the rear under braking and sliding sideways into the TecPro barriers. He had locked up and run into the escape road at the same corner on his previous lap. Alex Lynn was fifth ahead of his DS Virgin Racing team-mate and title contender Sam Bird, and series leader Jean-Eric Vergne almost 0.5 seconds off the pace. Sebastien Buemi spun his Renault e.dams at Turn 4 and backed it into the barriers but escaped with only cosmetic damage. 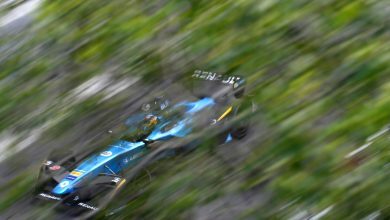 He was ninth fastest in the session, behind Andre Lotterer who nudged Nico Prost through the final corner leaving the e.dams man with rear wing damage. 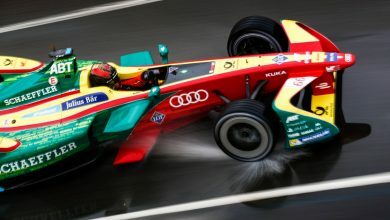 Di Grassi was 13th in the session with his Audi team-mate Daniel Abt 16th, but the team were focusing more on race runs in the session. Oliver Turvey was 14th having shown good pace in FP1. The British racer gave himself right-rear suspension damage in that session after losing the rear at Turn 6, and had a trip down the escape road at Turn 3 in FP2 also. Edoardo Mortara had his battery changed between the two practice sessions and will most likely take a 10-place grid penalty as a result. Although it is his first change of the season, the joker change must be applied for and approved 30 days in advance. He was 15th fastest. Stephane Sarrazin suffered a suspected battery management error in FP1. He was 17th ahead of Prost and Luca Filippi who had an inverter failure in first practice.